Vertical Twist Up A-Frame pop up banner stands demand the right attention in indoor and outdoor settings. Vertical A-Frame banner stands are ultra-portable and easy to setup and are most popular at sporting and golf events, promotional signage for store fronts, and trade shows! The Vertical A-Frame banner stand has a metal folding frame allowing for setup and breakdown in just seconds. 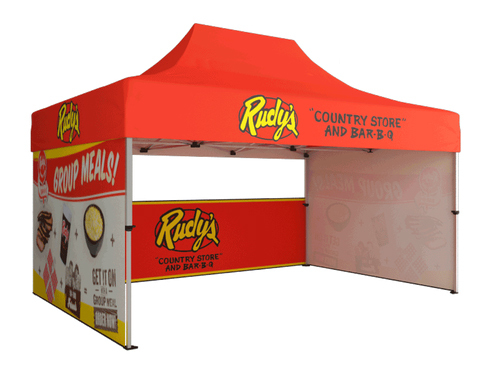 A-Frames also include stakes to hold the banner stand in place during outside promotional events - such as golf tournaments, soccer matches, and fundraisers!